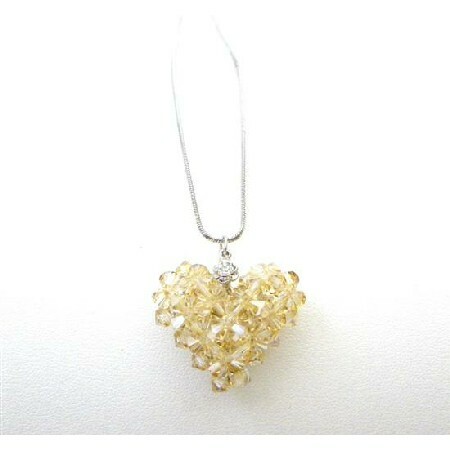 Beautiful Puffy Heart Golden Shadow 4mm Crystals exclusively handmade by our Jewelry Artist sparkling Swarovski Golden Shadow Crystals! All of our designs are based on beautiful & unique Vintage Style from many different eras. We always use the finest & genuine quality of Crystals & components.